Scene Point Blank is pleased to start September with an exclusive stream of the self-titled first full-length from Portland’s Dark/Light (pronounced as “Dark Slash Light”). Titled Kill Some Time, the new LP features 8 songs and officially comes out on Sept. 15 on Dirt Cult Records. The four member band includes former members of The Triggers and a zillion other bands. 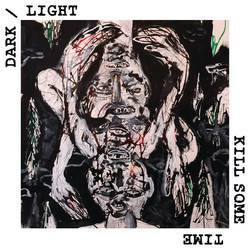 Dark/Light explores mature themes—"sometimes hopeful, sometimes bleak," as the band puts it. The songwriting is personal and up front, aiming to connect subconscious emotions to life experience. Pre-orders are available now via Dirt Cult.